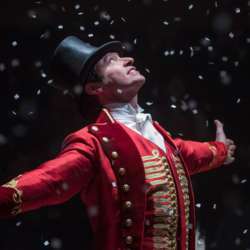 American musical with Hugh Jackman, Jacques Ephron, Michelle Williams for free in Panorama with the collaboration of the Film Club of Panorama. Join us with sms or call in my number to reconfirm your attendance. 6 attendees minimum in order the event to be held.